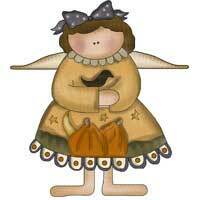 Like Snowflakes, no two angels are alike. 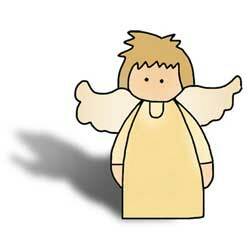 Have fun crafting and creating your own unique wood crafts angel with these angel crafts and even a free glass painting pattern for angels. 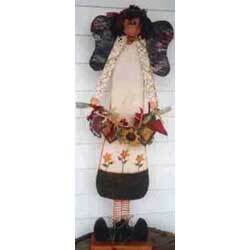 Make several of these angel ornaments from this pattern in varied colors to hang on your Christmas tree. 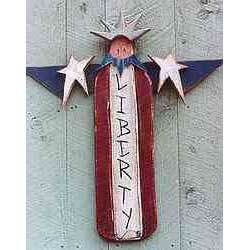 Proud Americana liberty angel wood craft pattern to make. By Jodi Gadoury. 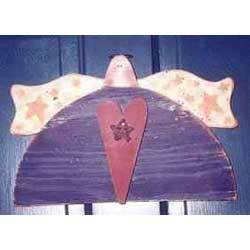 Primitive wooden angel that loves herbs! 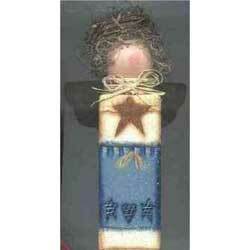 By Monica Wilson. 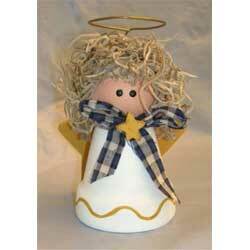 Make a cute angel out of a clay pot and wooden ball. 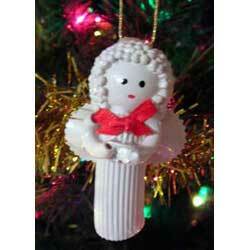 This cute ornament is made out of noodles. 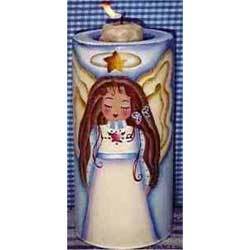 Angel craft pattern to paint on a glass candle holder by Cindy Trombley.